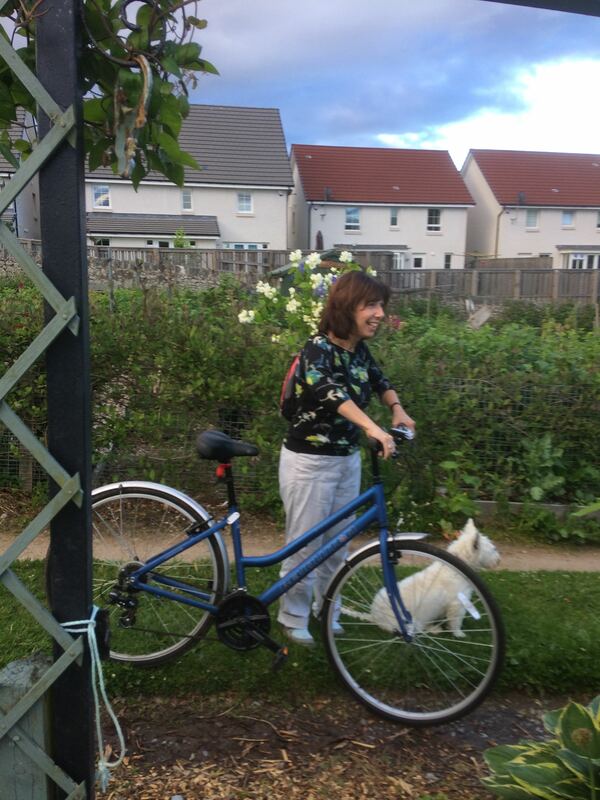 Here’s Val ready to cycle home with a rucksack of blossom. Did it see home or get blown away on the journey??? ?